Recently a financial planner sent me a Social Security plan based on a program (I’ll call it program X to protect the not-so-innocent) that he had licensed. The plan was for 60-year-old George and 56-year-old Mary Bailey. The planner asked me to compare the recommendations from my company’s Social Security software program with those from the program he had licensed. The couple was not particularly special. George was the higher earner by roughly a factor of two, and their age gap was typical. So I was surprised at the big differences in the two sets of recommendations given that I entered earnings histories in my program to calculate the same benefits at full retirement age as the other program was taking as inputs. By the way, asking users to enter their full retirement benefits, rather than their covered earnings histories and calculating benefits from scratch (as we do in our program) is, itself, a dicey practice. The source of both full retirement benefit and covered earnings histories is Social Security’s website. But Social Security’s retirement benefit calculator assumes zero real wage growth as well as zero inflation – in all future years! These assumptions are fully at odds not just with the entire postwar history of our economy, but also with what Social Security’s Trustees, themselves, assume about the future. Apparently, Social Security wants workers to believe their future benefits will be lower than is the case to get them to save more. Given that the earnings histories can be copied and pasted into a software program, there seems to be no reason to use a biased calculation of the full retirement benefit. Moreover, if one wants to assume future benefit cuts, the calculator should let one do so directly. The exact earnings histories are needed to implement the Recomputation of Benefits for those beneficiaries who continue to work. They are also need to correctly calculate survivor benefits. But, I digress as I’ve controlled for Program X’s failure to include earnings histories by entering in my company’s program two earnings histories for George and Mary that produce the precisely same full retirement benefits Program X assumes. Given this, where do the two programs come down? Both programs advise George to wait until 70 to collect his retirement benefits. But program X has Mary collecting her retirement benefit early at 62 and waiting until age 66 to collect her spousal benefit. While Mary is collecting her retirement benefit, George is told to collect a spousal benefit. Program X calculates the couple’s lifetime benefits at $691,545. Our program has their lifetime benefits at $901,071. If I run our program with program X’s strategy, lifetime benefits are $47,410 smaller. That’s a big difference -- roughly one year’s earnings for the Baileys. Our program has Mary wait until full retirement age to take just her spousal benefit and wait until age 70 to collect her retirement benefit. It has George wait until 70 to take his retirement benefit. What explains the huge difference in lifetime benefits across the two programs? The answer is the planning horizon. Program X assumes that both spouses will die on time – at their life expectancies, which are 81 for George and 84 for Mary. My program assumes both George and Mary will live to their maximum ages of life, which I set to 100. Assuming that George and Mary will die on time would be fine if they had multiple lives, some of which would end early and others end late. But George and Mary aren’t insurance companies with tens of thousands of insured lives over which to pool risk. George and Mary have only one life each to give to their maker, and they have to worry about the worse case scenario, namely that their maker decides to harvest them at the last possible moment. This is why the maximum, not the expected age of life is the only appropriate planning horizon. And this is the horizon over which one needs to value lifetime benefits. Stated differently, we need to plan to live to the last possible date for the simple reason that we might. This proposition comes directly from economic theory, which says that people respond to the risk of dying not by shortening their planning horizon and blithely assuming they will die right on time, but by choosing to consume somewhat more when young and somewhat less when old, if they do end up living longer than expected. Program X, in killing off poor George and Mary precisely at their life expectancies, is providing no value to all the benefits George and Mary may receive after they exceed their life expectancies. And, as a consequence, Program X is telling Mary to take her retirement benefits sooner than she should, thereby wiping out most of her spousal benefits. But Program X, which, apparently, was not developed by economists, makes a second, somewhat offsetting mistake insofar as it does no discounting in calculating lifetime benefits. Instead, Program X simply adds up all benefits the couple will receive between now and its life expectance. This treats a dollar received in, say, 20 years the same as a dollar received today. No student of introductory economics would make such a mistake. To grasp the depth of Program X’s error, suppose George and Mary were considering buying homeowners insurance. In valuing the insurance, the couple would consider the loss they’d incur were their house to burn down and compare it with the cost of the insurance – the premium. They wouldn’t multiply the value of their potential loss by the probability it would burn down. This expected payoff would surely be less than the premium, given the loads involved in buying homeowners and other forms of insurance. With this method of valuing homeowners insurance, no one would ever buy it. But the Bailey’s don’t have a thousand homes, which may or may not burn down and over which they can pool the risk of this occurring. They just have their one house and they have to look at their situation when it burns down and they have no insurance to cover that loss. 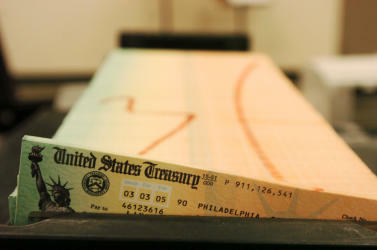 My bottom line – not all Social Security advice is good advice. Any calculator that doesn’t explain its choice of planning horizon and its method of discounting (including its failure to discount) is not likely to have the right goods under its hood when it comes to actually sorting out what Social Security does and doesn’t allow and correctly calculating Social Security’s exceptionally, indeed unbelievably complex benefits.